Cenlar FSB is the nation’s leading mortgage subservicing provider. 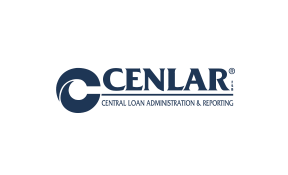 Headquartered in Ewing, N.J., Cenlar is a federally chartered wholesale bank specializing in subservicing. Their fully compliant, customized private label subservicing solution makes them the premier loan service provider in the industry for banks, thrifts, credit unions, mortgage companies and others in the financial industry. With more than a century of business experience, Cenlar excels due to its focus on customer satisfaction, adherence to compliance and regulatory requirements, teamwork, and effective management. With such a long standing presence in the marketplace, Cenlar’s market challenge was to refresh its brand and solidify its position as the market leader. William Mills Agency Marketing Services is a trusted partner of Cenlar FSB, working as an extension of the company’s marketing team. The agency provided strategic marketing guidance and a full suite of marketing services to design and execute a new branding campaign for Cenlar. William Mills Agency Marketing Services collaborated with Cenlar FSB to create an exciting and fresh brand identity and ensure its consistent use throughout the company. The Cenlar rebranding campaign has been instrumental in building awareness for the company’s capabilities and strengthened their new business and recruitment efforts.